From Delhi to Daman, here’s an exciting list of parties taking place across India on New Year’s Eve. An Indian’s party plan always begins with Goa and so does this list. 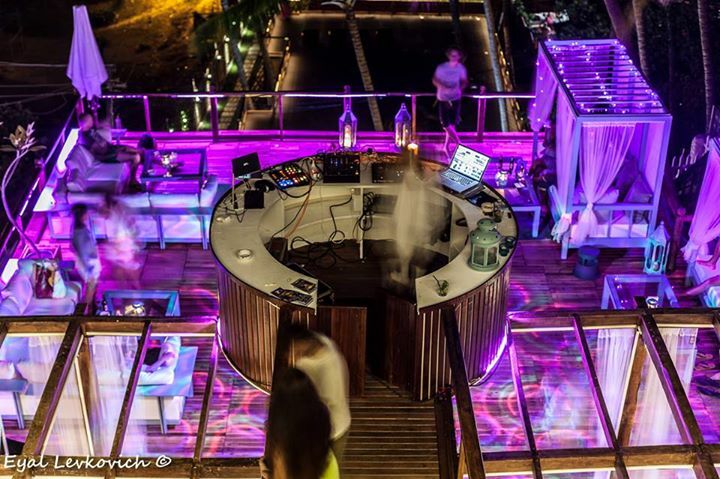 While all the beach shacks will as always be flocked by partyholics, you could head to the Elixir NYE 2014 party at the Water Beach Lounge & Grill on 30th & 31st December. Dance to the tunes of DJ Mash from 8.00 pm onwards; experience dazzling pyrotechnics and LED POI and witness breathtaking acts like Flair bartending and fireworks. The party will begin at 8 pm on both evenings at plot no 18, Ozran Beach, Near Thalassa Vagator. For tickets contact: 9820486206/9820676747. 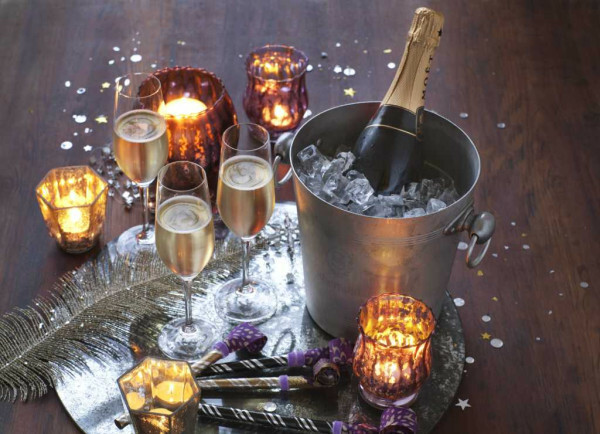 This New Year’s Eve you can renew yourselves in the billowy comfort of The Westin Mumbai Garden City’s heavenly rooms and enjoy their chic party ‘Mystique Midnight’ at The Westin Grand Ballroom. DJ Rahul will set the tempo for the glamorous evening which will feature international live performances, unlimited alcohol and a delicious cosmopolitan feast. It is priced at Rs. 9,000 AI for a couple and Rs. 11,000 AI with seating arrangement. If you plan to stay the night, the rates for a couple pass with shared seating arrangement for New Year’s Eve Party, Buffet Breakfast for 2 at Seasonal Tastes and double occupancy in Deluxe Room is Rs. 20,000 AI. Double occupancy in Executive Suite, with party pass and breakfast, is for Rs. 25,000. An extra adult can stay for Rs. 5,000. Seasonal Tastes, Kangan and Prego will have special menus for the evening. Post dinner, guests at these restaurants can join the gala party at The Westin Grand Ballroom from 11.30 pm onwards. For reservations contact their Festivity Desk: 022 – 6736 1050 or email: reservations.mumbaigardencity@westin.com. 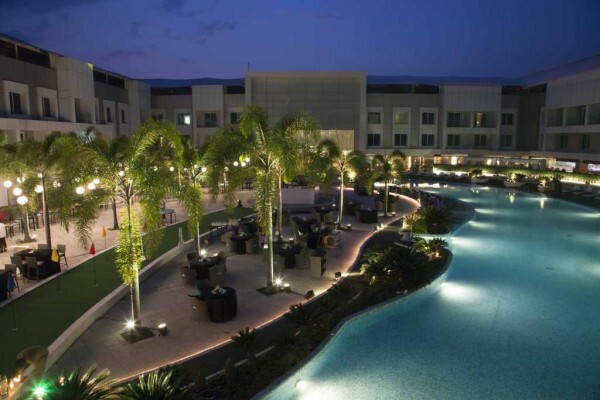 The Deltin is fast becoming a popular destination for a quick weekend getaway from major cities in the West. This New Year’s Eve The Deltin is organising live performance by singer Shraddha Pandit, entertaining acts and a gala dinner. 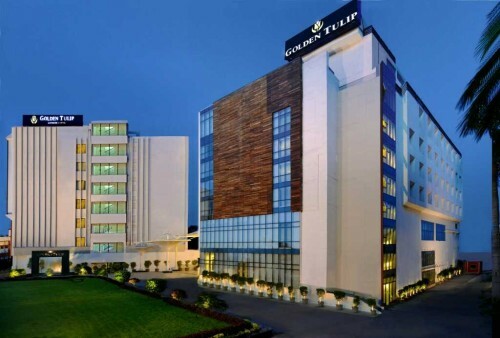 If you opt to stay at the luxurious property, you could enjoy swimming in the grand pool, unwind with their relaxing therapies or spa treatments at The Deltin spa and the children can have fun at the gaming zone. 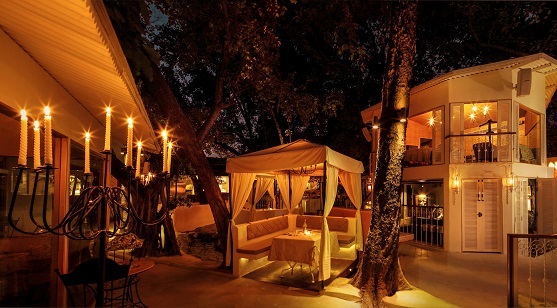 The Deltin is home to the ‘Emperor Restaurant’ that specialises in Tangra style Chinese cuisine, ‘Vegas,’ a multi-cuisine restaurant, ‘Whiskys,’ the lobby bar serving exquisite infused whiskey amongst other spirits, The Poolside Bar, serving Mediterranean style Grill and Barbecue, and The Juice Bar among others. The 2 nights/3 days package is priced at Rs.42,000/- per couple. This package includes accommodation in Superior Rooms, daily breakfast, lunch and dinner, New Year’s Eve Gala Dinner, unlimited alcoholic and non-alcoholic beverages (house brands) besides all the other New Year’s Eve events. A 1 night/2 days package is for Rs.30,000/- per couple. If you’re going just for the party it will cost Rs. 10,000 per couple and Rs. 6,000 for a single person. For more details call: +91 260 6699999. 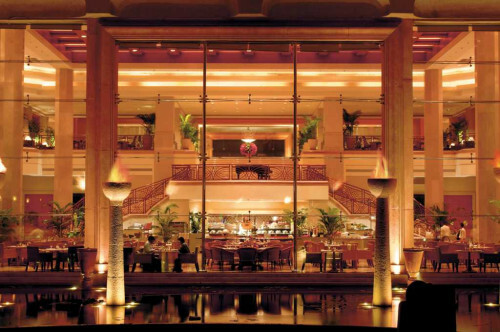 The Spanish restaurant at The Claridges, New Delhi is offering a special feast for the upcoming New Year’s Eve. Inspired by the beautiful city of Seville in Spain, the restaurant is an ode to the colours, style, and ambiance of the destination. From 9 pm to 12:30 am Sevilla will serve unlimited premium beverages and a special set TDH menu. There will be live pasta and risotto counters, pre-plated tapas and signature dishes from the Josper oven. Live music will be performed at the restaurant. Entry will cost Rs. 6,995 + taxes per person. The beautiful Canapés are priced at Rs. 25,000 + taxes for a couple, offering set menu, Brut Champagne, unlimited flow of selected beverages and personalised butler service. For reservations, please contact: +911139555082, +919871294834 or email sevilla.mgr@claridges.com. A place of fun and magic, Adlabs Imagica is ideal for families celebrating New Year’s Eve together. The theme park has called on singer Shaan to perform his timeless hits and visitors can also enjoy the 25 themed rides and attractions and 5 themed restaurants that will stay open into the night. 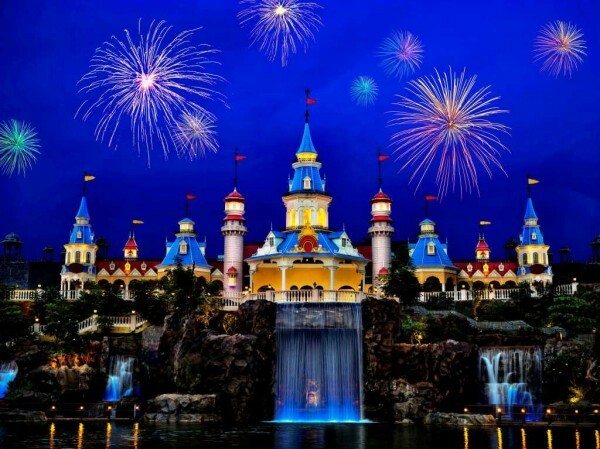 Guests can also witness the Grand Imagica Parade followed by a spectacular firework show at midnight. Among other live entertainment options at the park on New Year’s Eve include stand-up comedy act by popular artist VIP, non-stop music by DJ Joel Ferreira and live performances by magicians, clowns, b-boyers, acrobats and street artists. There will be a special Bachha Party in which kids can have their own party while the parents can enjoy the high energy rides and other entertainment options. To book your tickets call 022-4213 0405. 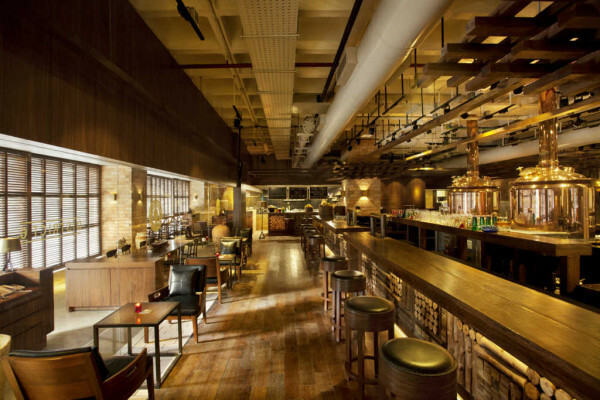 Bangaloreans can head to the new brewpub District 6 on New Year’s Eve. There will be an assorted menu of European, Oriental, Coastal and Indian cuisines, and a diverse range of alcoholic and non-alcoholic beverages that includes their specialty, German craft beer. A bright night full of culinary highlights and retro, commercial dance music awaits you at District 6. District 6 is located in Malleshwaram – Rajajinagar. The party begins at 8:30pm, drinks will be served till 1 am and the music will play till 1:15am. Entry is for Rs. 6,000, inclusive of taxes, per couple. For stags accompanying a couple, entry is for Rs. 4,000 inclusive of taxes. For reservations call: 72599 06666 or 080 6176666. JW Marriott Mumbai is where you head to for a magnificent view of the Arabian sea, spectacular music, epicurean delights and an incredible ambiance. Desi Roots will perform their music – a mix of Hindustani and contemporary international music – at the Lotus Café on New Year’s Eve. Enigma will be transformed into a club where DJ Pranav will spin the latest Bollywood remixes. Finally, a gastronomic feast will be laid out at Spices and the alfresco Salt Water Pool deck. Here you will find a great selection of premium beverages, interactive cooking counters and an extensive array of local and international cuisines. This extravagant celebration is priced at Rs. 8,500, including taxes, for an adult. For a more private experience, head to Arola and groove to a medley of chartbusters through the night. There will also be a delectable choice of tapas, live stations and signature cocktails. Entry is priced at Rs. 8,500, including taxes, for an adult. Children will love the kids’ area at the Family Lounge, which will have a special Prince and Princess theme, live performances, kids’ buffet, fun games and exciting activities.This experience for your little ones is priced at INR 2,000 including taxes. For inquires or reservations, call their festivity desk on 022 66933344, 7506886146 or 9096837486. 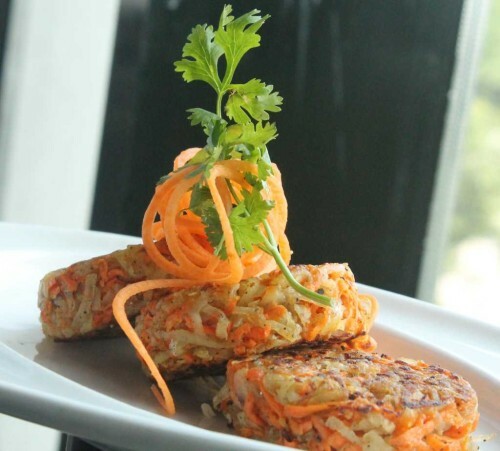 Stone Water Grill is a premium fine dining restaurant in Pune from the Impressario Group. 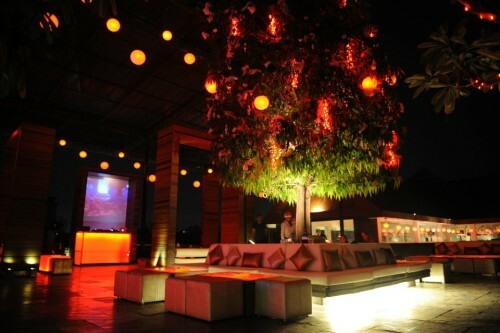 An extremely high end and exclusive place, it usually hosts the crème de la crème of Pune city. On New Year’s Eve at Stone Water Grill you can enjoy a grand buffet spread with international cuisine, unlimited premium alcohol, live barbeque, live pizzas and foot-tapping music. For making reservations, call: 9049874707. The New Year’s Eve extravaganza at Radisson Blu, Paschim Vihar, New Delhi has something for everyone. The Banquets will host an International Dance Troupe and a female DJ. Cost of entering this party is Rs. 9,999 per couple, and Rs. 5999 for stags. Indyaki will host a live Sufi band and will serve a premium buffet priced at Rs. 10,999 per couple and Rs. 6,499 for stags. If you would like to spend the night at one of the hotel’s rooms, it will cost you Rs. 15,999. Taking the party to the next level is Level 2 where a celebrity DJ will entertain and a lavish unlimited buffet will be laid before you. It will cost Rs. 8,499 for a couple to enter and Rs. 4,449 for stags. If you would like to spend the night at the hotel as well, it will cost Rs. 13,499. Contact details of the hotel are listed here. Tagged LifeSpice, Luxury hotels, Parties, The Good Life, Travel. Bookmark the permalink.